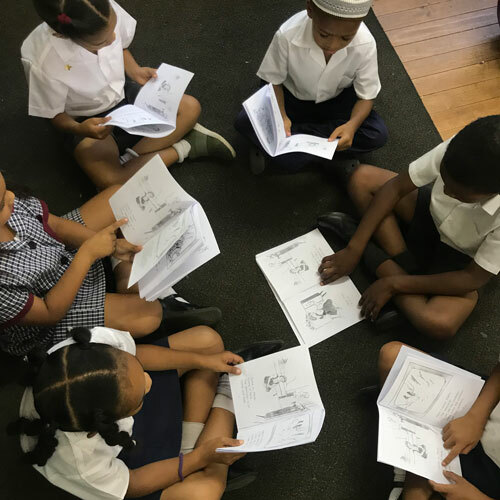 For weeks, learners at Disa Primary in Bonteheuwel have been peeping through windows to get a glimpse of neatly- arranged, book-lined shelves. A long-awaited library has been taking shape, and on 13 February the new space was officially opened. School staff, learners, donors, volunteers and Common Good team members all in attendance to mark the special occasion. 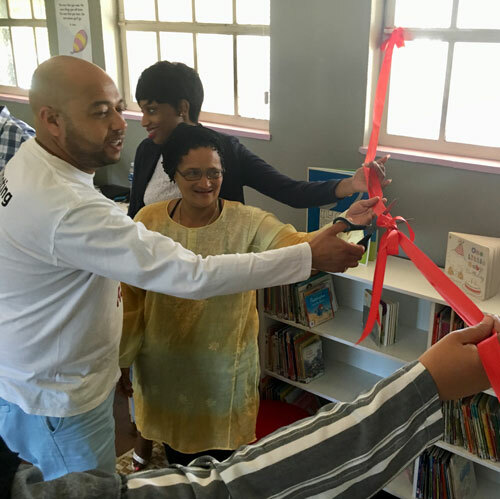 The formation of the new library is a significant and crucial step towards instilling a love of reading among learners, the majority of whom have little or no access to books at home. 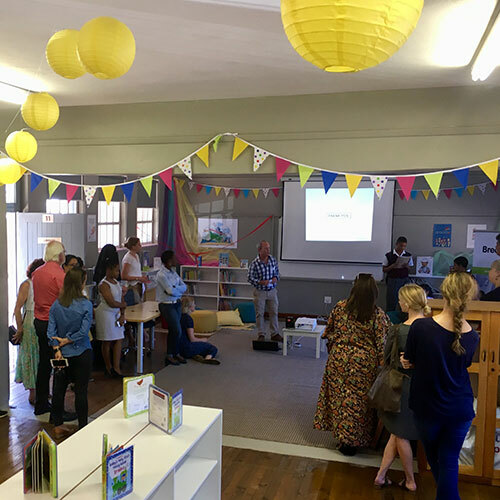 The new space is a the result of a year-long collaboration between numerous partners, starting with a 4000 book donation from Juta in 2018.  Over 70 volunteers from Common Ground Church rallied to cover the books, and then The Bookery, an NPO that helps schools to open libraries, catalogued them all. 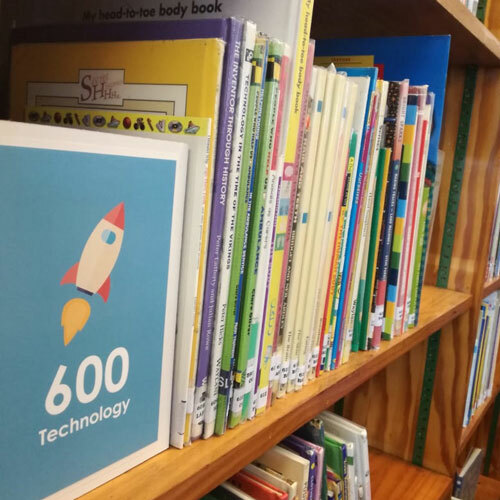 The Bookery also covered the cost of Libwin software needed to run the Library, provided training for the new Librarian, and will be paying a portion of her salary for the next three years. “We had all these books, but nothing to put them on!” said Catherine van Rensberg, Operations Manager for Common Good Collaboration Schools. 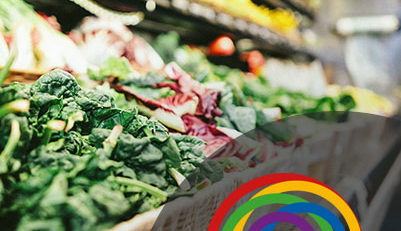 Breadline Africa was approached for help and, together with Hands of Honour, took care of all the shelving. Fittings from an old book room were repurposed and new mobile shelving units were built to divide up the space. Hands of Honour also agreed to paint the room’s walls and floors free of charge, with discounted paint from Midas. The finishing touches – a projector, screen, speakers, soft furnishings, new blinds, a large mat and décor – were all sponsored by Kamvalethu. “I think the coming together of so many partners in support of the library is a beautiful picture of how, despite all the learners of Disa are up against – gangsterism, crime and violence in their community – there is a network of support and people saying, ‘We are rooting for you and want good for you, learners of Disa Primary and children of Bonteheuwel’,” said Van Rensberg. The formation of the new library is a significant and crucial step towards instilling a love of reading among learners. 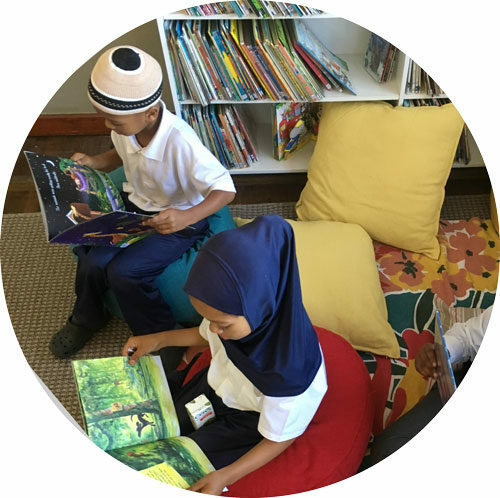 At Common Good, our hope is that the new library at Disa will be a space that fires young imaginations and lays important foundations for future learning.